AIR is about life. It is about education to preserve life. AIR is about remembering those who have gone too soon. We learn from them and they inspire us to continue our mission of starting THE conversation to save others. 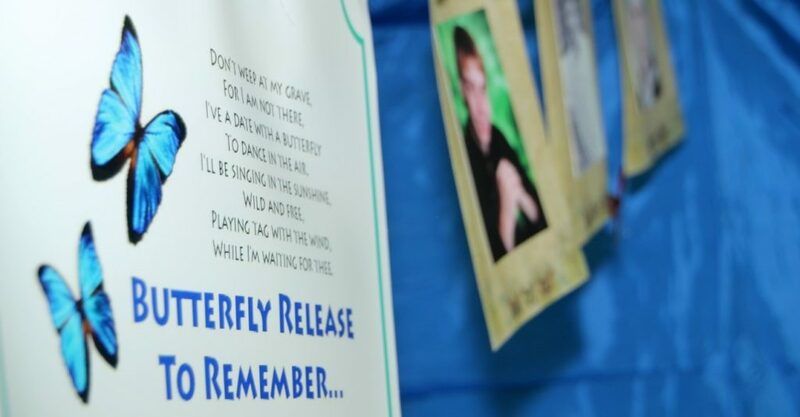 During the Annual Miki & Friends Walk & Run for AIR event, a Butterfly Release is held to honor friends and family members who were lost too soon. A $15.00 donation will allow you to have a butterfly released in your loved one’s memory. Names will be read during the release. We will offer a moment of silence to remember each individual. Names and your photo will be displayed on the Butterfly Remembrance Wall. If you cannot attend the event. We can still include your loved one through photographs. We will send a memento of the release for an additional $1.50 to cover postage and mailing. Send the form below along with your loved ones name, photo (preferably 5 x 7) and check for $15.00 to AIR – Butterfly Release. Click here for the Butterfly Release Form.